A regular snapshot of the trends, news and research in the world of philanthropy — and its impact on business. In an era marked by rapid advances in automation and artificial intelligence, new research assesses the jobs lost and jobs gained under different scenarios through 2030. The technology-driven world in which we live is a world filled with promise but also challenges. Cars that drive themselves, machines that read X-rays, and algorithms that respond to customer-service inquiries are all manifestations of powerful new forms of automation. Yet even as these technologies increase productivity and improve our lives, their use will substitute for some work activities humans currently perform—a development that has sparked much public concern. Building on our January 2017 report on automation, McKinsey Global Institute’s latest report, Jobs lost, jobs gained: Workforce transitions in a time of automation (PDF–5MB), assesses the number and types of jobs that might be created under different scenarios through 2030 and compares that to the jobs that could be lost to automation. The results reveal a rich mosaic of potential shifts in occupations in the years ahead, with important implications for workforce skills and wages. Our key finding is that while there may be enough work to maintain full employment to 2030 under most scenarios, the transitions will be very challenging—matching or even exceeding the scale of shifts out of agriculture and manufacturing we have seen in the past. What impact will automation have on work? What are possible scenarios for employment growth? What will automation mean for skills and wages? How do we manage the upcoming workforce transitions? 1. What impact will automation have on work? We previously found that about half the activities people are paid to do globally could theoretically be automated using currently demonstrated technologies. Very few occupations—less than 5 percent—consist of activities that can be fully automated. However, in about 60 percent of occupations, at least one-third of the constituent activities could be automated, implying substantial workplace transformations and changes for all workers. While technical feasibility of automation is important, it is not the only factor that will influence the pace and extent of automation adoption. 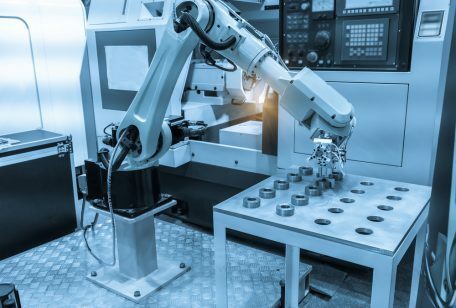 Other factors include the cost of developing and deploying automation solutions for specific uses in the workplace, the labor-market dynamics (including quality and quantity of labor and associated wages), the benefits of automation beyond labor substitution, and regulatory and social acceptance. Automation and AI will lift productivity and economic growth, but millions of people worldwide may need to switch occupations or upgrade skills. Taking these factors into account, our new research estimates that between almost zero and 30 percent of the hours worked globally could be automated by 2030, depending on the speed of adoption. We mainly use the midpoint of our scenario range, which is automation of 15 percent of current activities. Results differ significantly by country, reflecting the mix of activities currently performed by workers and prevailing wage rates. The potential impact of automation on employment varies by occupation and sector (see interactive above). Activities most susceptible to automation include physical ones in predictable environments, such as operating machinery and preparing fast food. Collecting and processing data are two other categories of activities that increasingly can be done better and faster with machines. This could displace large amounts of labor—for instance, in mortgage origination, paralegal work, accounting, and back-office transaction processing. It is important to note, however, that even when some tasks are automated, employment in those occupations may not decline but rather workers may perform new tasks. Automation will have a lesser effect on jobs that involve managing people, applying expertise, and social interactions, where machines are unable to match human performance for now. Jobs in unpredictable environments—occupations such as gardeners, plumbers, or providers of child- and eldercare—will also generally see less automation by 2030, because they are technically difficult to automate and often command relatively lower wages, which makes automation a less attractive business proposition. 2. What are possible scenarios for employment growth? Workers displaced by automation are easily identified, while new jobs that are created indirectly from technology are less visible and spread across different sectors and geographies. We model some potential sources of new labor demand that may spur job creation to 2030, even net of automation. For the first three trends, we model only a trendline scenario based on current spending and investment trends observed across countries. We have previously estimated that global consumption could grow by $23 trillion between 2015 and 2030, and most of this will come from the consuming classes in emerging economies. The effects of these new consumers will be felt not just in the countries where the income is generated but also in economies that export to these countries. Globally, we estimate that 250 million to 280 million new jobs could be created from the impact of rising incomes on consumer goods alone, with up to an additional 50 million to 85 million jobs generated from higher health and education spending. Jobs related to developing and deploying new technologies may also grow. Overall spending on technology could increase by more than 50 percent between 2015 and 2030. About half would be on information-technology services. The number of people employed in these occupations is small compared to those in healthcare or construction, but they are high-wage occupations. By 2030, we estimate that this trend could create 20 million to 50 million jobs globally. For the next three trends, we model both a trendline scenario and a step-up scenario that assumes additional investments in some areas, based on explicit choices by governments, business leaders, and individuals to create additional jobs. Infrastructure and buildings are two areas of historic underspending that may create significant additional labor demand if action is taken to bridge infrastructure gaps and overcome housing shortages. New demand could be created for up to 80 million jobs in the trendline scenario and, in the event of accelerated investment, up to 200 million more in the step-up scenario. These jobs include architects, engineers, electricians, carpenters, and other skilled tradespeople, as well as construction workers. Investments in renewable energy, such as wind and solar; energy-efficiency technologies; and adaptation and mitigation of climate change may create new demand for workers in a range of occupations, including manufacturing, construction, and installation. These investments could create up to ten million new jobs in the trendline scenario and up to ten million additional jobs globally in the step-up scenario. The last trend we consider is the potential to pay for services that substitute for currently unpaid and primarily domestic work. This so-called marketization of previously unpaid work is already prevalent in advanced economies, and rising female workforce participation worldwide could accelerate the trend. We estimate that this could create 50 million to 90 million jobs globally, mainly in occupations such as childcare, early-childhood education, cleaning, cooking, and gardening. The changes in net occupational growth or decline imply that a very large number of people may need to shift occupational categories and learn new skills in the years ahead. The shift could be on a scale not seen since the transition of the labor force out of agriculture in the early 1900s in the United States and Europe, and more recently in in China. We estimate that between 400 million and 800 million individuals could be displaced by automation and need to find new jobs by 2030 around the world, based on our midpoint and earliest (that is, the most rapid) automation adoption scenarios. New jobs will be available, based on our scenarios of future labor demand and the net impact of automation, as described in the next section. However, people will need to find their way into these jobs. Of the total displaced, 75 million to 375 million may need to switch occupational categories and learn new skills, under our midpoint and earliest automation adoption scenarios; under our trendline adoption scenario, however, this number would be very small—less than 10 million (Exhibit 1). In absolute terms, China faces the largest number of workers needing to switch occupations—up to 100 million if automation is adopted rapidly, or 12 percent of the 2030 workforce. While that may seem like a large number, it is relatively small compared with the tens of millions of Chinese who have moved out of agriculture in the past 25 years. For advanced economies, the share of the workforce that may need to learn new skills and find work in new occupations is much higher: up to one-third of the 2030 workforce in the United States and Germany, and nearly half in Japan. 3. Will there be enough work in the future? Today there is a growing concern about whether there will be enough jobs for workers, given potential automation. History would suggest that such fears may be unfounded: over time, labor markets adjust to changes in demand for workers from technological disruptions, although at times with depressed real wages (Exhibit 2). We address this question about the future of work through two different sets of analyses: one based on modeling of a limited number of catalysts of new labor demand and automation described earlier, and one using a macroeconomic model of the economy that incorporates the dynamic interactions among variables. If history is any guide, we could also expect that 8 to 9 percent of 2030 labor demand will be in new types of occupations that have not existed before. Both analyses lead us to conclude that, with sufficient economic growth, innovation, and investment, there can be enough new job creation to offset the impact of automation, although in some advanced economies additional investments will be needed as per our step-up scenario to reduce the risk of job shortages. A larger challenge will be ensuring that workers have the skills and supportneeded to transition to new jobs. Countries that fail to manage this transition could see rising unemployment and depressed wages. The magnitude of future job creation from the trends described previously and the impact of automation on the workforce vary significantly by country, depending on four factors. Higher wages make the business case for automation adoption stronger. However, low-wage countries may be affected as well, if companies adopt automation to boost quality, achieve tighter production control, move production closer to end consumers in high-wage countries, or other benefits beyond reducing labor costs. Economic growth is essential for job creation; economies that are stagnant or growing slowly create few if any net new jobs. Countries with stronger economic and productivity growth and innovation will therefore be expected to experience more new labor demand. Countries with a rapidly growing workforce, such as India, may enjoy a “demographic dividend” that boosts GDP growth—if young people are employed. Countries with a shrinking workforce, such as Japan, can expect lower future GDP growth, derived only from productivity growth. The automation potential for countries reflects the mix of economic sectors and the mix of jobs within each sector. Japan, for example, has a higher automation potential than the United States because the weight of sectors that are highly automatable, such as manufacturing, is higher. The four factors just described combine to create different outlooks for the future of work in each country (see interactive heat map). Japan is rich, but its economy is projected to grow slowly to 2030. It faces the combination of slower job creation coming from economic expansion and a large share of work that can be automated as a result of high wages and the structure of its economy. However, Japan will also see its workforce shrink by 2030 by four million people. In the step-up scenario, and considering the jobs in new occupations we cannot envision today, Japan’s net change in jobs could be roughly in balance. The United States and Germany could also face significant workforce displacement from automation by 2030, but their projected future growth—and hence new job creation—is higher. The United States has a growing workforce, and in the step-up scenario, with innovations leading to new types of occupations and work, it is roughly in balance. Germany’s workforce will decline by three million people by 2030, and it will have more than enough labor demand to employ all its workers, even in the trendline scenario. At the other extreme is India: a fast-growing developing country with relatively modest potential for automation over the next 15 years, reflecting low wage rates. Our analysis finds that most occupational categories are projected to grow in India, reflecting its potential for strong economic expansion. However, India’s labor force is expected to grow by 138 million people by 2030, or about 30 percent. India could create enough new jobs to offset automation and employ these new entrants by undertaking the investments in our step-up scenario. China and Mexico have higher wages than India and so are likely to see more automation. China is still projected to have robust economic growth and will have a shrinking workforce; like Germany, China’s problem could be a shortage of workers. Mexico’s projected rate of future economic expansion is more modest, and it could benefit from the job creation in the step-up scenario plus innovation in new occupations and activities to make full use of its workforce. To model the impact of automation on overall employment and wages, we use a general equilibrium model that takes into account the economic impacts of automation and dynamic interactions. Automation has at least three distinct economic impacts. Most attention has been devoted to the potential displacement of labor. But automation also may raise labor productivity: firms adopt automation only when doing so enables them to produce more or higher-quality output with the same or fewer inputs (including material, energy, and labor inputs). The third impact is that automation adoption raises investment in the economy, lifting short-term GDP growth. We model all three effects. We also create different scenarios for how quickly displaced workers find new employment, based on historical data. The results reveal that, in nearly all scenarios, the six countries that are the focus of our report (China, Germany, India, Japan, Mexico, and the United States) could expect to be at or very near full employment by 2030. However, the model also illustrates the importance of reemploying displaced workers quickly. If displaced workers are able to be reemployed within one year, our model shows automation lifting the overall economy: full employment is maintained in both the short and long term, wages grow faster than in the baseline model, and productivity is higher. However, in scenarios in which some displaced workers take years to find new work, unemployment rises in the short to medium term. The labor market adjusts over time and unemployment falls—but with slower average wage growth. In these scenarios, average wages end up lower in 2030 than in the baseline model, which could dampen aggregate demand and long-term growth. 4. What will automation mean for skills and wages? In general, the current educational requirements of the occupations that may grow are higher than those for the jobs displaced by automation. In advanced economies, occupations that currently require only a secondary education or less see a net decline from automation, while those occupations requiring college degrees and higher grow. In India and other emerging economies, we find higher labor demand for all education levels, with the largest number of new jobs in occupations requiring a secondary education, but the fastest rate of job growth will be for occupations currently requiring a college or advanced degree. Workers of the future will spend more time on activities that machines are less capable of, such as managing people, applying expertise, and communicating with others. They will spend less time on predictable physical activities and on collecting and processing data, where machines already exceed human performance. The skills and capabilities required will also shift, requiring more social and emotional skills and more advanced cognitive capabilities, such as logical reasoning and creativity. Wages may stagnate or fall in declining occupations. Although we do not model shifts in relative wages across occupations, the basic economics of labor supply and demand suggests that this should be the case for occupations in which labor demand declines. Our analysis shows that most job growth in the United States and other advanced economies will be in occupations currently at the high end of the wage distribution. Some occupations that are currently low wage, such as nursing assistants and teaching assistants, will also increase, while a wide range of middle-income occupations will have the largest employment declines. Income polarization could continue. Policy choices such as increasing investments in infrastructure, buildings, and energy transitions could help create additional demand for middle-wage jobs such as construction workers in advanced economies. The wage-trend picture is quite different in emerging economies such as China and India, where our scenarios show that middle-wage jobs such as retail salespeople and teachers will grow the most as these economies develop. This implies that their consuming class will continue to grow in the decades ahead. 5. How do we manage the upcoming workforce transitions? The benefits of artificial intelligence and automation to users and businesses, and the economic growth that could come via their productivity contributions, are compelling. They will not only contribute to dynamic economies that create jobs but also help create the economic surpluses that will enable societies to address the workforce transitions that will likely happen regardless. Faced with the scale of worker transitions we have described, one reaction could be to try to slow the pace and scope of adoption in an attempt to preserve the status quo. But this would be a mistake. Although slower adoption might limit the scale of workforce transitions, it would curtail the contributions that these technologies make to business dynamism and economic growth. We should embrace these technologies but also address the workforce transitions and challenges they bring. In many countries, this may require an initiative on the scale of the Marshall Plan, involving sustained investment, new training models, programs to ease worker transitions, income support, and collaboration between the public and private sectors. All societies will need to address four key areas. Sustaining robust aggregate demand growth is critical to support new job creation, as is support for new business formation and innovation. Fiscal and monetary policies that ensure sufficient aggregate demand, as well as support for business investment and innovation, will be essential. Targeted initiatives in certain sectors could also help, including, for example, increasing investments in infrastructure and energy transitions. Providing job retraining and enabling individuals to learn marketable new skills throughout their lifetime will be a critical challenge—and for some countries, the central challenge. Midcareer retraining will become ever more important as the skill mix needed for a successful career changes. Business can take a lead in some areas, including with on-the-job training and providing opportunities to workers to upgrade their skills. Greater fluidity will be needed in the labor market to manage the difficult transitions we anticipate. This includes restoring now-waning labor mobility in advanced economies. Digital talent platforms can foster fluidity, by matching workers and companies seeking their skills and by providing a plethora of new work opportunities for those open to taking them. Policy makers in countries with inflexible labor markets can learn from others that have deregulated, such as Germany, which transformed its federal unemployment agency into a powerful job-matching entity. Income support and other forms of transition assistance to help displaced workers find gainful employment will be essential. Beyond retraining, a range of policies can help, including unemployment insurance, public assistance in finding work, and portable benefits that follow workers between jobs. We know from history that wages for many occupations can be depressed for some time during workforce transitions. More permanent policies to supplement work incomes might be needed to support aggregate demand and ensure societal fairness. More comprehensive minimum-wage policies, universal basic income, or wage gains tied to productivity growth are all possible solutions being explored. Policy makers, business leaders, and individual workers all have constructive and important roles to play in smoothing workforce transitions ahead. History shows us that societies across the globe, when faced with monumental challenges, often rise to the occasion for the well-being of their citizens. Yet over the past few decades, investments and policies to support the workforce have eroded. Public spending on labor-force training and support has fallen in most member countries of the Organisation for Economic Co-operation and Development (OECD). Educational models have not fundamentally changed in 100 years. It is now critical to reverse these trends, with governments making workforce transitions and job creation a more urgent priority. Businesses will be on the front lines of the workplace as it changes. This will require them to both retool their business processes and reevaluate their talent strategies and workforce needs, carefully considering which individuals are needed, which can be redeployed to other jobs, and where new talent may be required. Many companies are finding it is in their self-interest—as well as part of their societal responsibility—to train and prepare workers for a new world of work. Individuals, too, will need to be prepared for a rapidly evolving future of work. Acquiring new skills that are in demand and resetting intuition about the world of work will be critical for their own well-being. There will be demand for human labor, but workers everywhere will need to rethink traditional notions of where they work, how they work, and what talents and capabilities they bring to that work. A regular snapshot of the trends, news, and research in the world of philanthropy — and its impact on business.